In this Nov. 2, 2017 file photo, Sheryl Crow performs during An Intimate Evening Celebrating The Songs of Sheryl Crow & Jeff Trott benefiting High Hopes Development Center in Nashville, Tennessee. 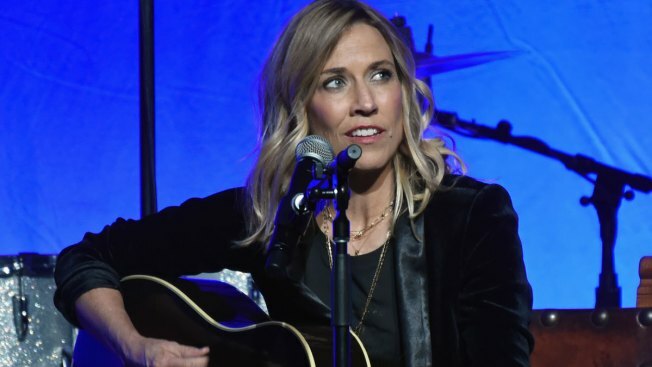 Sheryl Crow has written a new song to mark the five-year anniversary of the Sandy Hook Elementary School shooting in December 2012. The nine-time Grammy winner partnered with Sandy Hook Promise, the gun violence prevention nonprofit born from that tragedy, to release the song, according to Crow's website. "I felt compelled to write 'The Dreaming Kind' for the incredible people at Sandy Hook Promise (SHP) who work so hard every day to combat gun violence," Crow said in a post on the site. The song "about tragedy turned to transformation and hope" pays tribute to the 20 students and six teachers who were killed at Sandy Hook Elementary School in Newton, Connecticut, on December 14, 2012, according to a Sandy Hook Promise news release. "The Dreaming Kind" is available for download on Crow's website with a minimum donation of $1, but buyers may also donate more if they wish. Profits from the sale will benefit Sandy Hook Promise. "We are grateful to Sheryl for her extraordinary generosity. Every time I listen to the song, it immediately brings me to tears. Not only does it perfectly capture the emotion of our loss and everyday losses in our country, but I believe it epitomizes everything we do at Sandy Hook Promise to move forward and create real change. We know it will resonate with people everywhere and drive people to learn more about Sandy Hook Promise's gun violence prevention programs and the positive impact they are having," said Nicole Hockley, Managing Director and co-founder of Sandy Hook Promise, and mother of Dylan, who was 6 years old when he was killed in the Sandy Hook tragedy. Crow has won multiple Grammys and had hits with songs such as "All I Wanna Do," "Leaving Las Vegas," and "Everyday is a Winding Road."